We want you to be 100% satisfied with our spices, seasonings, purees, and pastes. 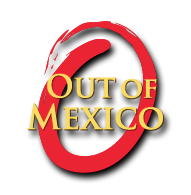 If for any reason you are not, please contact us through our call center at (619) 713 – 7401 or through email kathie@outofmex.com. Most unopened items in new condition returned within ninety (90) days will receive a refund or exchange. However, some items have a modified return policy that is less than 90 days. Those items will either show a “return by” date or “return within” day range under the item on your receipt or packing slip. Items that are opened or damaged, or do not have either a packing slip or receipt may be denied a refund or exchange. All bundled items must be returned with every component for a full refund. In additions, bundle components may not all have the same return policy; please check your packing slip for details. Refunds are available to the purchaser of the item in the form of payment the initial purchase was made. Credit cards will be refunded on the card used for the purchase. Checks will be refunded cash if after 14 days of purchase, or a product exchange or store credit if before 14 days of purchase. All other returns will be accepted as a product exchange or gift credit. If the returned item was used to qualify the purchase for a promotional offer, the cost of the promotional item will be deducted from the refunded amount. Free promotional items and gift cards are not returnable. Promotional pricing will be used in determining refund amounts.